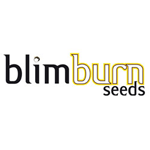 Blimburn Seeds - Mamba Negra Auto. Free US delivery. Mamba Negra Auto is the product of crossing Mamba Negra with Tangie Auto. It is an indica-dominant strain, larger than the average auto plant, and one which makes exquisite extractions. The majority of auto strains are known for being suitable for cultivation in all environments and Mamba Negra Auto is no exception to this general rule. It achieves maturity in 70 - 80 days from initial germination through to harvest with each plant capable of producing between 50 - 120 gr. depending on root space and general conditions. The Tangie Auto genetic component lends outstanding aromatic intensity and flavour. THC production varies with grower skill as well as the amount of light afforded the plants but lies within the range 8 - 18% making it a medium THC-producer on average. The amount of resin makes this strain particularly suitable for extract production.